South African Nolan Arendse began to play darts in 1990 and already for many years is one of the top players of the country. Due to a car crash he had to take a break but returned to the oche in 2014. 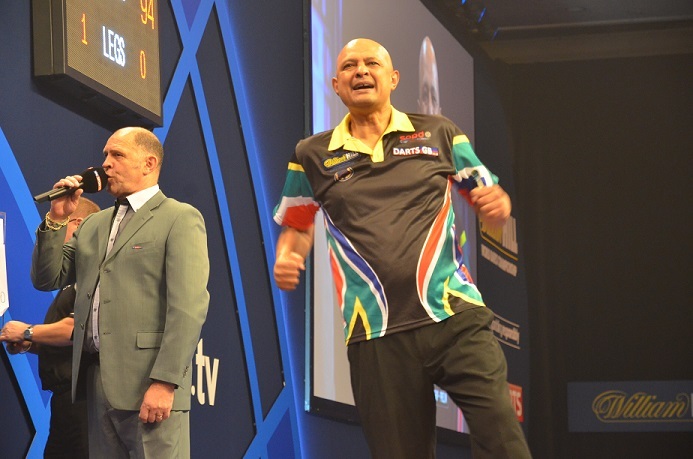 He almost immediately won the South African Masters and qualified for the PDC World Championship 2015. Arendse lost first round to Brendan Dolan. In January 2015 he joined Qualifying School but didn't manage to secure a Tour Card. Arendse played an important part in building up Sa pdo and today is one of the board of directors. His range of duty is marketing and operations.